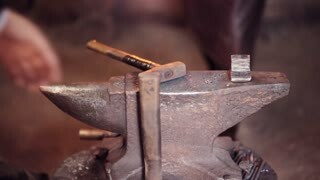 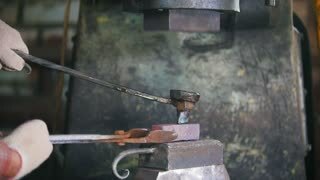 Close-up view of blacksmith working with hammer and hot red metal. 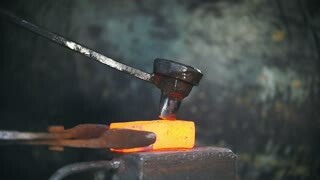 Man forge the iron on the anvil in smithy. 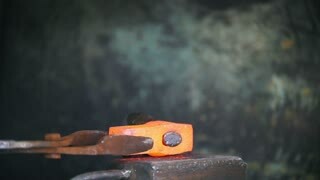 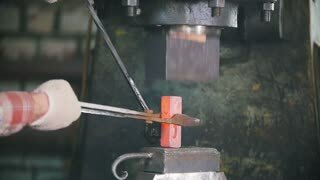 Blacksmith working with hammer and hot red metal. 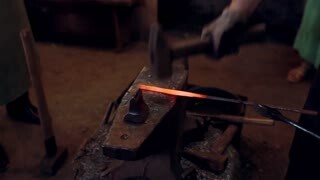 Two mans forge the iron on the anvil in smithy.